When I was at Texas Jacks in November, I asked the status of the new 4 inch 380 acp pocket pistol that Cimarron was suppose to be bringing out... A five shot cylinder, it would have been a great pistol for side matches, and I checked with Palewolf and he thought it would qualify for use. Texas Jacks told me they were having a problem with the BATFE over the barrel length, they wanted a longer barrel... Now I see that Cimarron is advertising it with a six inch barrel, with a five shot cylinder... I don't see any market for a six inch barrel pistol, would it be legal for pocket pistol side matches if the barrel was cut down to 3 1/2 or 4 inches.???? Cutting the barrel is no problem and I bet a lot of folks will do that, whether for CAS or not. Cimarron is planning on selling 3" barrels as a spare part, but sawing off the long one will be a lot cheaper! Okay, I get why .380, generically. But considering that this revolver is pretty much only of interest to Cowboy shooters, .38 Short Colt or .38 S&W would not have been problematic. How many of us already load one or both of those rounds anyway? That being said, if I could get one of these, I would. I'd use the 6" for a main match, and the .3" for pocket as needed. Eh... More trouble than it's worth. A pal had an original one of these many years ago (nickle with ivory grips) that I lusted after. He shot it as a pocket pistol for years. I would love to have one of the repro guns, but would much prefer .38 short colt to .380. Easier to load that .38 s&w. I really am looking forward to their new s&w American. I hope they don’t screw it up like they did the Schofield by lingthening the cylinder and making it impossible to shoot bp. How ya gunna use it as a main match revolver??? It only has a 5 round cylinder. I too am looking forward to the American. Can't buy one, but I'm happy to know they exist. If I could get one, I'd go with the .44 Special chambering. Given how it's listed as available in .44-40 and .45 Colt, I'm gonna guess the cylinder has been lengthened to be able to accommodate those rounds. Me... I wish they'd actually chambered it for .44 S&W American. But I am a weirdo. I load the 380 with lead bullets already for practice rounds . So one of these in 380 interest me very much . Cant wait for it to be available. All ready have one in 32 short conversion. I load .38 S&W and .38 Short Colt. I really find no difference between them when it comes to reloading. Especially if I use the same .358" hollow base bullet in both cartridges. I used to load 38s&w using the larger bullet (for WWII British revolvers). Never used a hollow base, but it would be simpler. I would much rather have a smith copy in the original caliber as well They were very well designed guns and the caliber was part of that. I bought one of the first Uberti Schofields and was very disappointed to find that lengthning the cylinder to take 45lc made the base pin foul terribly when shooting bp. On the original guns, the cylinder gap was farther back and they did not foul. They went to all that work to build the repro but let marketing drive design, which led to making the product worse. They probably lost as many customers by making the change as they gained but ended up with an inferior product. ...They went to all that work to build the repro but let marketing drive design, which led to making the product worse. They probably lost as many customers by making the change as they gained but ended up with an inferior product. Inferior to BP shooters but superior to the more numerous rank and file shooters who want to shoot smokeless 45 Colt. And there are a lot more of the latter, many of which do not shoot CAS. Uberti has always had a hard time keeping up with Schofield orders. It would be a similar situation with Colt 1860 conversions. If Uberti only made them in .44 Colt then there would be a whole lot less sold. I think we need to be thankful for what repros we can get. I wonder. The Schofield is far from the most popular cowboy gun and the $1000 price will ensure that even if its design does not. It attracts the odd balls who want something different. Trying to capture the mainstream market with a gun that is primarily of interest to folks outside the mainstream is a bit odd. Also, people in cas don’t want full house 45 LC loads. This has lead to the development of a whole new short 45 for cas. Why not just use the original/period 45 Schofield and leave the design of the gun alone? Because unless you reload, you wont be buying schofield off the shelf almost anywhere. A large chunk of purchasers are actually not CAS shooters, just people looking for the odd ball. I've actually seen quite a few replicas sold at the local gun shops, and yet have not met a single CAS shooter buying one. Its the same reason its 380 ACP instead of 38 short colt, while we think its only for us, the reality is the vast majority of these guns are actually sold to people who just want something cool looking to shoot and would love to be able to find ammo on the shelves at their local range or GS. Clearly Uberti agrees with you and since they make them they can do what they think best. On the other hand, I can buy, or not buy what I want. But, since I own more than 20 of their guns, I think I am a better indication of who will buy their product that someone off the street. couldn't find this on their website. is that a pistol in your pocket or are you...…. It is a single action. Single action Not Double action . Does anyone know if the new .380 will have a version of the “new” cimarron firing pin safety? Cimarron said in a news release that it will have the new Uberti firing pin safety. Which web sight can I find pictures and description ? The rotating banner, or whatever you call it, (starts with the new S&W American for me) shows it. Here is a good video of this gun at the Cimarron booth at the SHOT show. Interesting that despite the new safety they still recommend carrying 4. I can see people are excited about this gun. But I just don't get the 380 Auto round. I guess 38 Short or Long Colt would have had too large a rim. I'd been more interested in it in something like a 6 shot 32 Long Colt. I can see their point of a .380 acp .Over the counter ammo availablity . 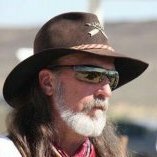 None Cowboy shooters don't care about history of the gun only want to shoot an old style gun . Maybe get more people interested in shooting.something other than plastic guns.I would like to see one in person in hand before spending that kind of money . I think I have a new 32 tooth hacksaw blade in the tool box and a brass shotgun bead available. They say they will offer it as a two barrel set so you will get a long and short barrel. Personally, I think they are deluding themselves if the think this 4 shot reproduction of a historic gun is going to compete with modern .380 automatics for most consumers, especially with a long barrel. It’s pretty much going to sell to folks who like the old stuff. If I buy one, I will look into changing the chambering and getting rid of the silly (and apparently pointless since you can still load only 4 rounds) safety.